Usually the places that look like they’re scary and look like the food is not going to be good, are usually the best. You can really be surprised by places like that. I've eaten at Coffee Nook at 714 Columbia Drive (near intersection with Hartford) about 20 times and every time it's been amazing. As the old saying goes, breakfast is the most important meal of the day, but perhaps not for the reasons you think. New research actually shows that people who consistently eat breakfast have a significantly reduced risk of type 2 diabetes. 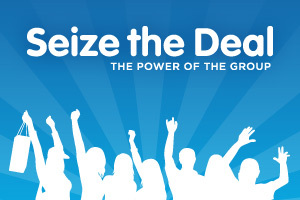 Seize the Deal offers one incredible online deal every day from dining deals to haircut coupons, spa deals to salon discounts and much more. It appears that you already have an account on this site associated with . To connect your existing account just click on the account activation button below. You will maintain your existing VIP profile. After you do this, you will be able to always log in to http://975coolfm.production.townsquareblogs.com using your original account information. Sign up for Kool VIP quickly by connecting your Facebook account. It's just as secure and no password to remember!